5 Water Parks in Phuket to Soak Up Some Family Fun! Water parks are always a guaranteed fun ride with both friends and family. There's something about adventure rides when it's mixed with splashes and showers and just water all around. Takes the thrill to a whole new level. The water parks in Phuket don't disappoint, often associated with luxury resorts and hotels - they are guaranteed to provide a fun-filled and exciting day for families and friends alike! Here are the 5 Best Water Parks in Phuket for a splashy adventure! Price: Approximately THB 1400 for adults and THB 630 for children. Located next to The Splash Beach Resort, the Splash Jungle Water Park is a sprawling property bursting with color, life and exciting rides. There is the dizzying Whizzard - aquatubes where you ride at breakneck speeds, the spiralling Superbowls, the reverse free falling Boomerang and the body and tube slides. For those who prefer more relaxed, quieter rides there is the winding Lazy River, stretching across 330 meters, and the Family Raft Ride. There is also an Aqua Play and a Kid's pool to keep the young ones engaged. The Park also has a number of good, cozy restaurants on its property such as the Coconut Cafe, the Jungle Deli, the Island Bar and the Splash Bar. The Splash Jungle Resort is undoubtedly one of the best water parks in Phuket! The Centara Kata Resort is located close to the bustling Kata beach in Phuket. It has three large pools, ideal for relaxing and sunbathing by the water under a clear Thai summer sky. There also spa pools and pools for kids, along with colorful exciting rides for the little ones. Stay at this resort, and one finds that it is the perfect place to make lasting memories with your loved ones! Surhouse Phuket is a unique water park in Phuket, offering a fun filled experience for learning surfing. 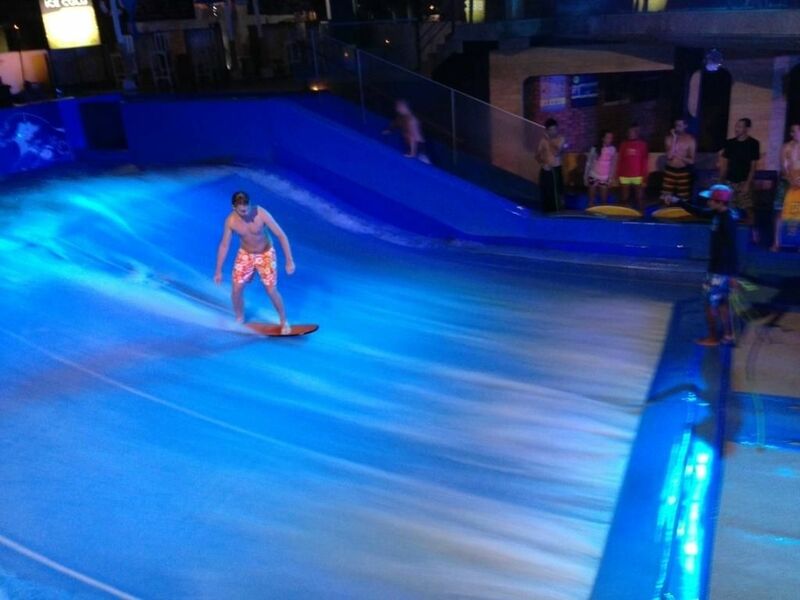 Located near Kata beach, it offers surfing options for the kids as well - the Double Flowrider is a safe place for your little ones to build their surfing skills! The Surfhouse Phuket is also known for its restaurants and bar which serve some truly delicious local and continental cuisine. Located on Bang Thao beach, the Outrigger Laguna with its gorgeous haute villas and lagoon is the perfect place to spend a relaxed holiday. The tourist favourites here include the water park, with its 50 metre long water slide, delightful waterfalls and other fun rides, both for adults as well as the little ones. Outrigger Laguna Water Park in Phuket is a must-visit if you're looking for family fun in Bang Tao Beach. The Rawai VIP Villas and Kid's Park in Muang, Rawai is a bunch of 40 luxurious villas, each with its own pool and terraced courtyard. 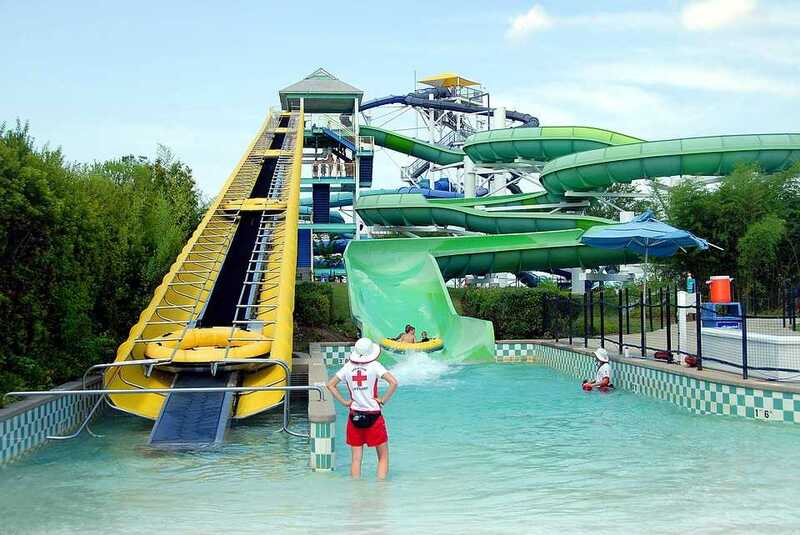 One of the main attractions here is the Kid's Park, one of the largest water parks in Phuket with both indoor and outdoor playing areas, as well as a rope climbing tower. The restaurant in the premises offer some exciting Thai-fusion cuisine, and it is a favorite haunt for families on vacation in Phuket! So grab your travel bags and head to one of Phuket's water parks and their resorts with friends and family. Enjoy a relaxed stay, and some thrilling and exhilarating water adventures that'll leave you drenched from head to foot, but wanting for more - and come back with some happy memories. Phuket Or Pattaya - Which Location To Visit On Your Next Thai Holiday? Bali Vs Phuket: Where Should You Go Next? Phuket vs Krabi: Where Should You Head Over To On Your Next Holiday? Bangkok Vs Phuket - How To Choose The Perfect Holiday Destination?